Terrorists are gaining influence and benefiting from Russian-Western discord, Medvedev told the gathering. “Terrorism is a challenge to the whole of civilization: we must not divide terrorists into friends, enemies, extremists or ‘moderates,’” he said. “I think Daesh [Arabic acronym for IS, formerly ISIS/ISIL] has to be grateful to my colleagues, some Western leaders who disabled such cooperation [between intelligence services],” Medvedev said. The PM cited cases such as the bombing of the Russian airliner over Sinai, the terror attacks in Paris, London, Israel, Pakistan, Iraq and many other countries, as well as public beheadings and brutal acts of violence, as clear evidence that international terrorism respects no borders. The Russian PM called on his Western counterparts “not to threaten a ground operation” in Syria, stressing that Moscow is doing its utmost to pave the way for a lasting peace in the war-torn country. “It is important to save a united Syrian state, preventing it from falling apart into religion-based [fragments]. The world can’t afford another Libya, Yemen or Afghanistan. 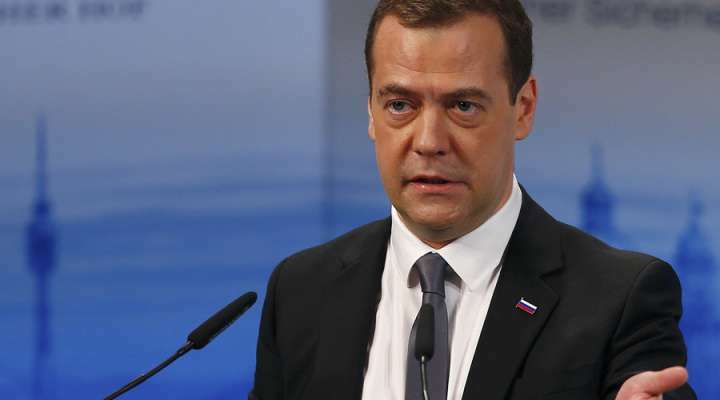 The outcomes of such a scenario would be disastrous for the entire Middle East,” Medvedev said. Next articleWas Justice Scalia Murdered To Gut The Second Amendment?